Panda Internet Security for Windows 10 - A tool to ensure safe operation of the network. The program is able to encrypt Internet payments, includes a secure module for storing passwords and user notes, allows you to create backup copies of selected folders and store them on a cloud service, supports input using a virtual keyboard. Uses updated libraries of known viruses, can block phishing and Trojan injections. Able to analyze the level of security of public and wireless networks, reduces the load during the launch of games or demanding programs. 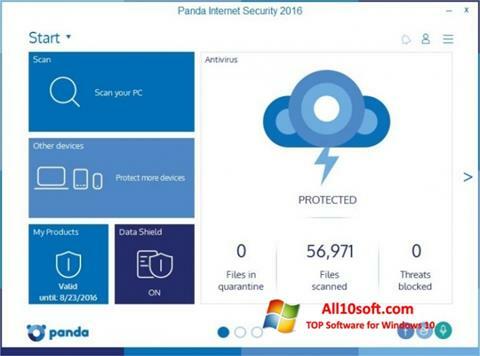 You can free download Panda Internet Security official latest version for Windows 10 in English.